An upgrade for the IKEA GUNDE chair that serves as a frame for Simchair components starting from MKII version (it was used in MKI version as well, but the frame was a separate piece of steel then). This particular chair was chosen because it’s very lightweight (something around 1 kg), it’s foldable, and it’s cheap. It is important, as Simchair will support flying FPV RC aircraft in the future, so one has to be able to carry stuff to the field. 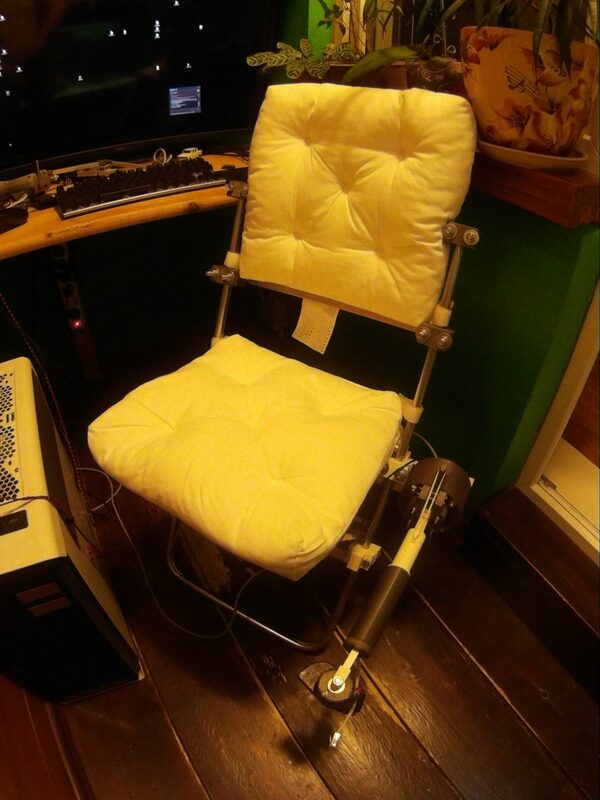 I use it not only as a flight chair but as a work chair as well, so I decided to make it more comfortable. You can fit two IKEA MALINDA pillows to it, using the 10x20mm aluminum rectangular pipe with new printed parts. 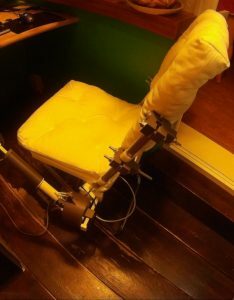 I find it quite comfortable and will probably add parts for several back angles to choose from. 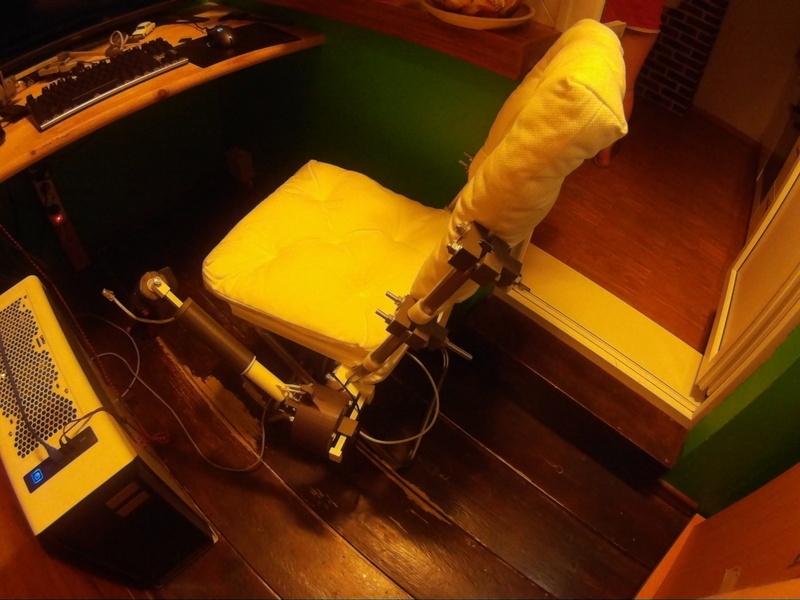 The current inclination of the back is the same as in the original chair. I have added new parts to the frame_parts.zip archive. Next PostNext Single engine collective with head support released!